Do your kids love to help you decorate for the holidays? 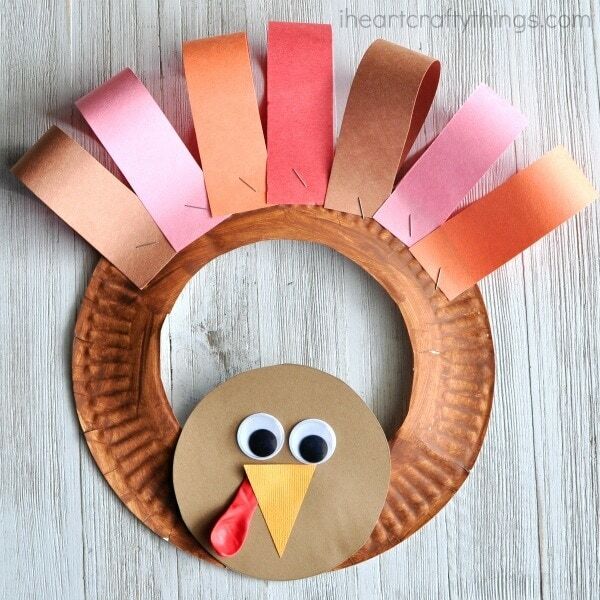 If so, they are going to love making this adorable paper plate Thanksgiving turkey wreath. 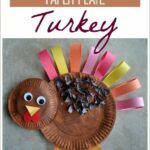 It’s super simple to make and is perfect for hanging on a doorknob or up on a hook on a mantel for a Thanksgiving decoration. 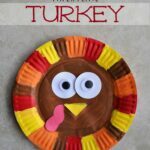 Make this craft after reading one of our favorite Thanksgiving books listed at the bottom of this post. 1. Start by cutting out the center circle of your paper plate. 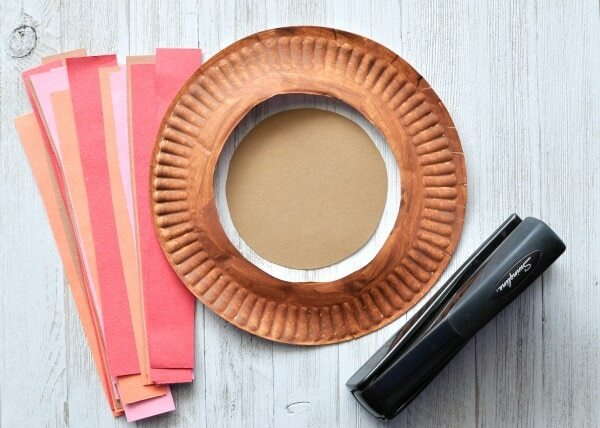 Paint the bottom rim of the plate with your brown paint. Set it aside to dry completely. 2. 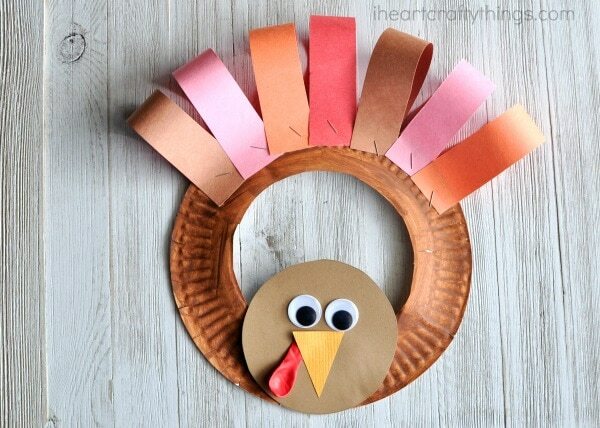 While your paint is drying, cut out a circle from brown construction paper for your turkey head and an orange beak. Then several strips of colored construction paper for turkey feathers. 3. 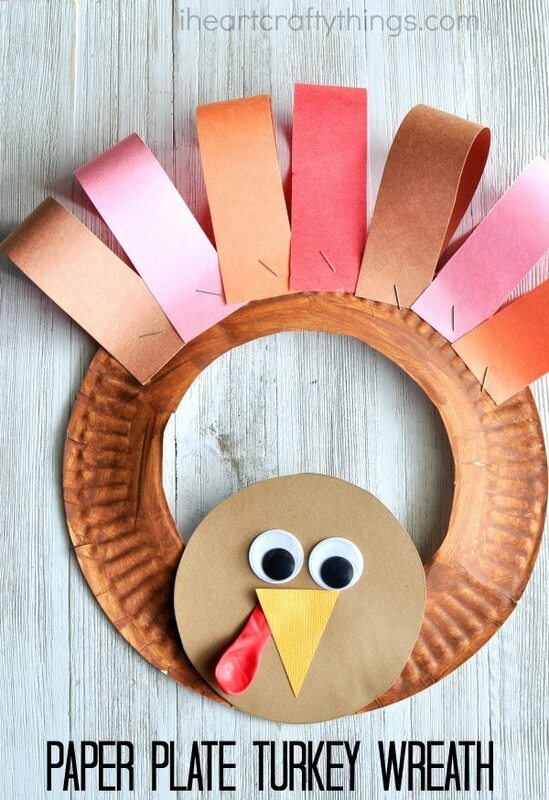 Glue (or staple) your turkey face onto the bottom of your paper plate. Glue your googly eyes, red water balloon and beak onto your turkey face. 4. 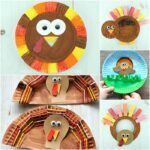 Finish your paper plate Thanksgiving turkey wreath by folding the paper feather strips around the top of the paper plate and staple them in place. Now you can hang your cute turkey wreath on your doorknob or on a hook on a mantel. NOTE: For a personal touch, you could swap out the paper strip feathers for handprints. It will make the craft a fun keepsake to hang up year after year.